Being broke without enough funds each week stinks on so many levels, and when it starts to affect your grocery budget, food can suddenly seem incredibly bleak and boring. Just because your wallet is looking skinnier than you wish, there’s no need to go feasting on ramen noodles. 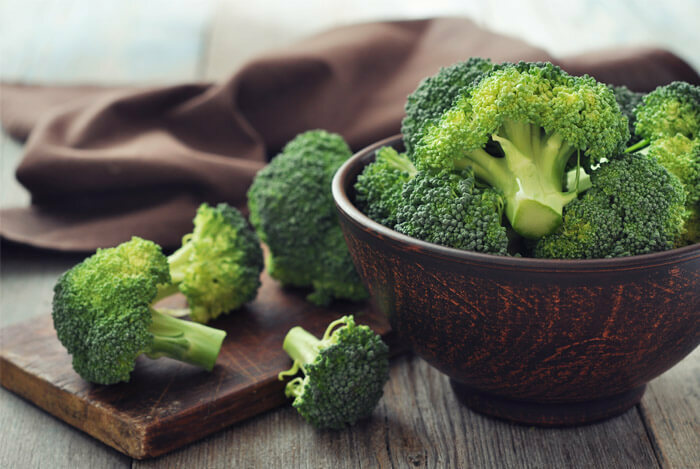 Here are 10 doable tips to eat a clean and healthy diet on a budget that also won’t leave you eating bland and boring foods all day long. Yes, produce is probably already one of the main food groups that you know you should be eating, but here’s a little tip for you: produce is also cheaper than you realize. So, start out your grocery trip in the produce section, and fill up your cart with items that are on sale. It’s also helpful to pick choices that will last a little while in the fridge. 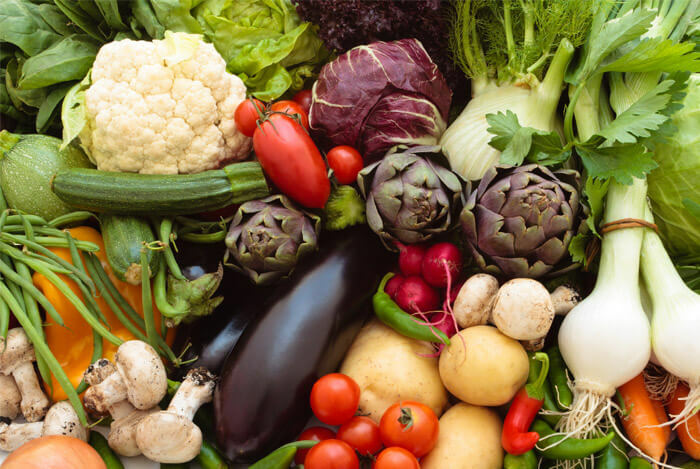 Good options include: romaine lettuce, onions, tomatoes (leave out on the counter), apples (keep in the fridge), citrus fruits, celery, sweet potatoes, squash, peppers, bananas (chop and freeze them when they start to brown), and frozen veggies and fruits like berries which can be often be cheaper than fresh but just as high in quality. Local farmers need support from you, but one of the benefits of giving them your support is rock-bottom prices on the highest-quality (and often much fresher) foods. 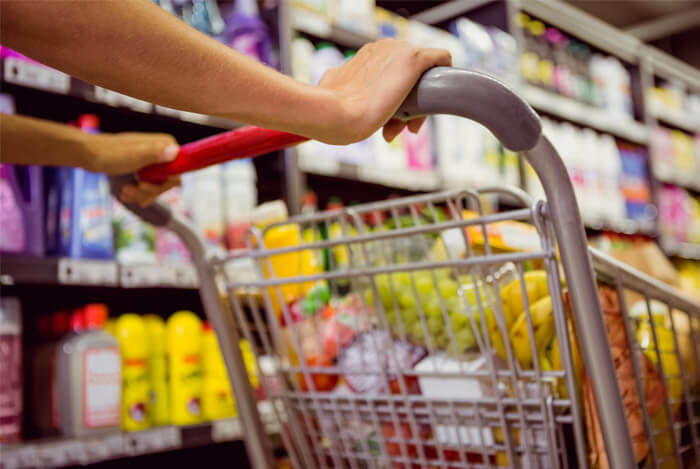 You can buy everything from produce to fish,eggs, seeds, grains, and even dairy products at an incredibly low price when you’re not paying for in-store premiums. 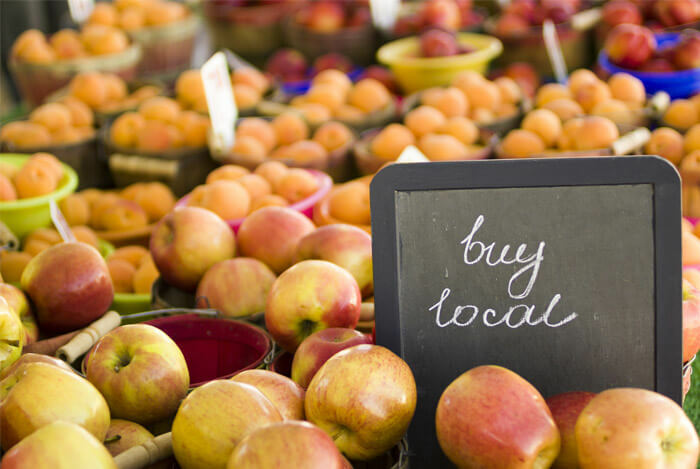 Visit some local farms or farmers markets in your local area or just shop at locally owned businesses instead of big box stores. The most filling foods foods for you are produce, protein, and fiber. These nutrients keep you full and satiated longer than processed foods do that are low in real nutrition. 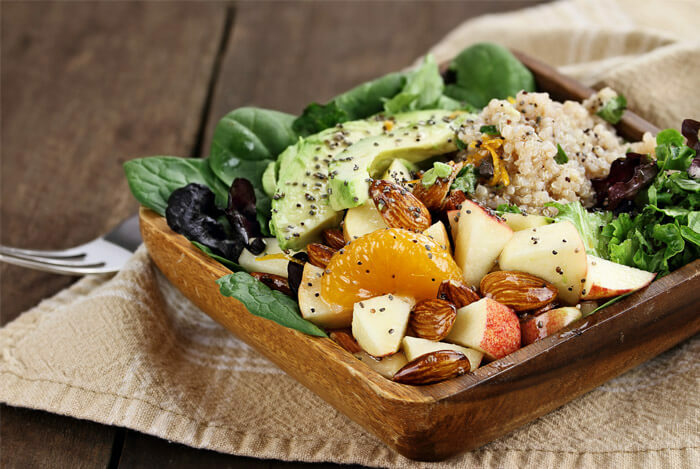 Optimize fiber-rich carbs in your diet like oats, quinoa, wild rice, buckwheat, and brown rice over carbs that don’t have much fiber such as flours or processed flours. Keep healthy fats to whole foods like avocados, chia seeds, and flax seeds or coconut, and use them as a condiment to meals versus spending all your money on $10-$15 jars of fancy nut butters or filling up on handfuls of nuts for snacks. While spirulina, bee pollen, fancy nut butter, and other fabulous food trends might be healthy for you, the truth is you and your budget don’t need them right now. This should go without saying, but it’s much cheaper to eat at home than it is to eat out. Plus, cooking at home is also healthier for you, and you can create cheaper, more filling meals at home with minimal time and ingredients. Utilize a blender, slow cooker or pressure cooker, and a simple skillet to prepare easy and cheap meals in just minutes. There are multiple dishes you can make with the foods above to help keep you full a long time that also nourish your body. Remember, you don’t have to have an extravagant meal to make it healthy or make it taste good. 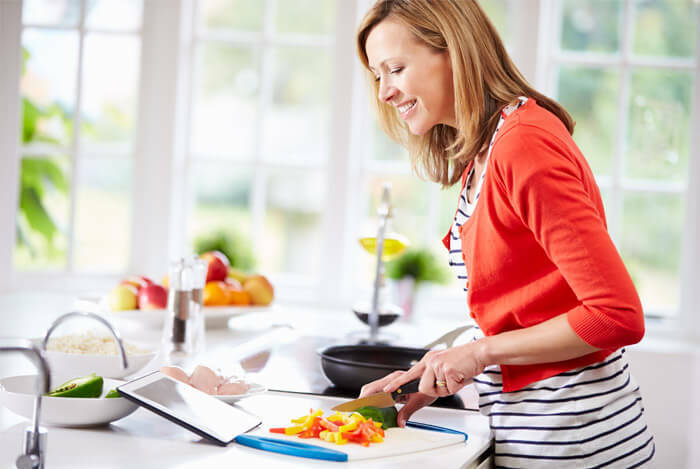 Your own kitchen is the perfect way to eat healthier and save money, so get cozy and get cooking! If you have a little extra room in your budget, spend it on a high-quality protein powder that you can use in smoothies and stir into oatmeal. 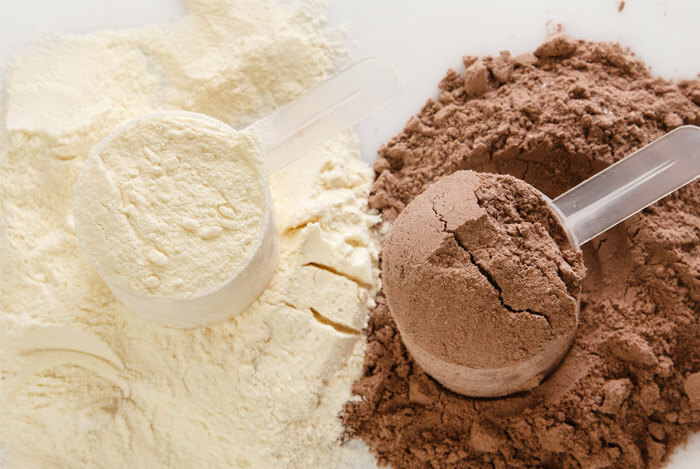 Good options include a high-quality whey protein isolate or a plant-based protein powder you enjoy. There’s no reason you have to shop at the fanciest stores just to eat a healthy diet. Once again, it’s about doing the best you can with the money you have no matter where you have to shop when things get tight. Use every resource you have, and of course, coupons help too! 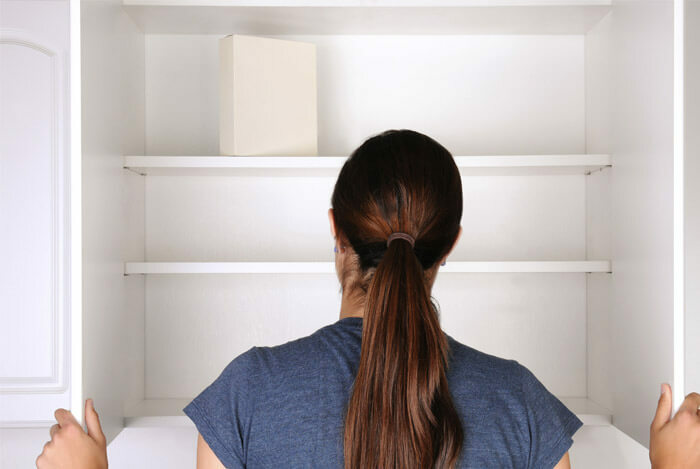 Your pantry is your best friend when it comes to making budget-friendly meals out of healthy options such as brown rice or wild rice, oatmeal, quinoa, low-sodium canned tuna, whole grain spaghetti, quinoa, boxed almond milk, and low-sodium canned tomatoes. You can also implement the use of herbs and spices to add flavor to your meals. Remember, produce, protein, fiber, and healthy fats on the side are the best options when it comes to eating healthy. The bottom line is that eating healthy on a budget doesn’t have to mean deprivation, and who knows … you might just find yourself healthier and richer after this little experiment too. For more useful budget meal ideas, check out these tips that can help you along on your way to eating healthy while saving money too! What’s your take on healthy, budget eating? Have anything else you’d like to share? Let me know in the comments below!